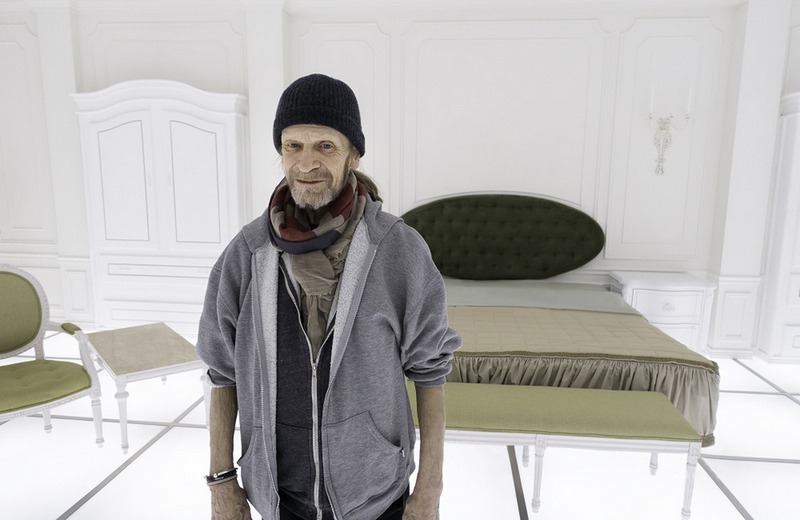 Leon Vitali played Lord Bullingdon in Stanley Kubrick’s “Barry Lyndon”. He had already been enthralled by “Clockwork Orange” and following “Barry Lyndon” he asked Kubrick if he could work for him. Kubrick told him to get some experience. He was at the time acting in a horror movie so he decided to work then, after the shooting, on its production. With that experience he renewed his request to Kubrick and Tony Zierra’s film is all about the ensuing twenty odd years when Vitali worked as Kubrick’s right hand in the production of his films. It was inevitably a challenging and frightening line of work given Kubrick’s need to find perfection including requiring some scenes to be shot hundreds of times. The way Vitali reminisces about Kubrick and his obsessive demands Vitali loved every second of it. But it must have been uniquely physically debilitating if Vitali’s haggard appearance now is any guide. He looks as if he has been through the ringer, both backwards and forwards, many times. But his admiration for Kubrick and his cinematic skills is unalloyed. Vitali remains in awe of Kubrick. For Kubrick’s aficionados this is a “must see”. But for anyone who is interested in how a film comes to be made there is a wealth of material comprising interviews, old footage and still photographs which Zierra deftly moulds as director, cameraman and editor into an enthralling hour and half of cinema. It too is a homage to Kubrick but it is also a celebration of Vitali who provided Kubrick with a unique disciple whom Kubrick trusted in his pursuit of artistic excellence. Kubrick died in 1999 and Zierra gives no indication as to how Vitali has survived since then. The great thing is that Vitali has survived. He is able to tell his story as “Filmworker” with considerable panache while retaining his quintessential eccentricity which allowed him to pursue the unlikely professional life that he did. It is a wonderful glimpse into an improbable life of an actor who eschewed the limelight in order to shine behind the scenes.